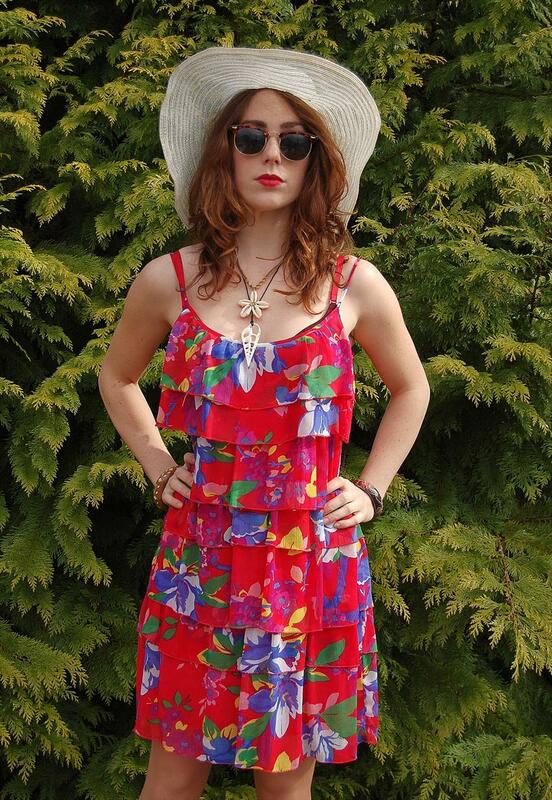 We have found these beautiful floral print dresses from ASOS marketplace. A unique hand customised vintage piece. Lilac in colour with a floral print. Featuring a dip back, frilly spaghetti straps and a lining.